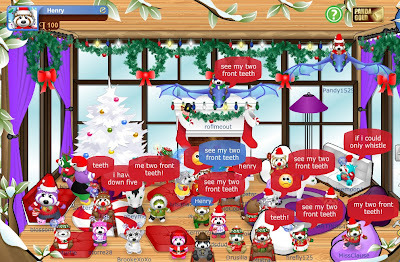 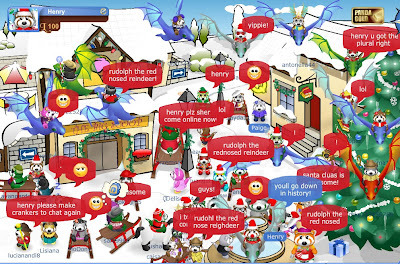 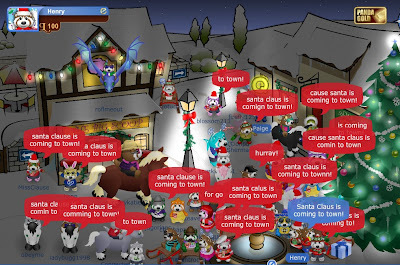 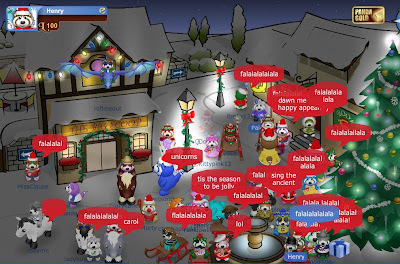 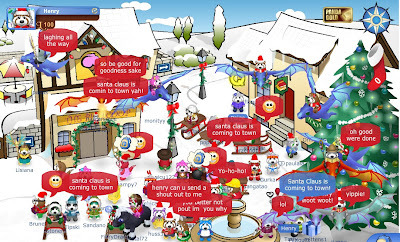 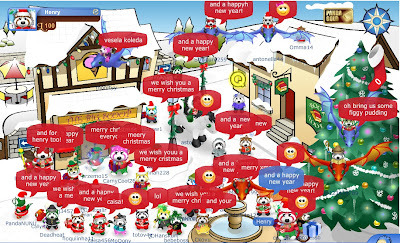 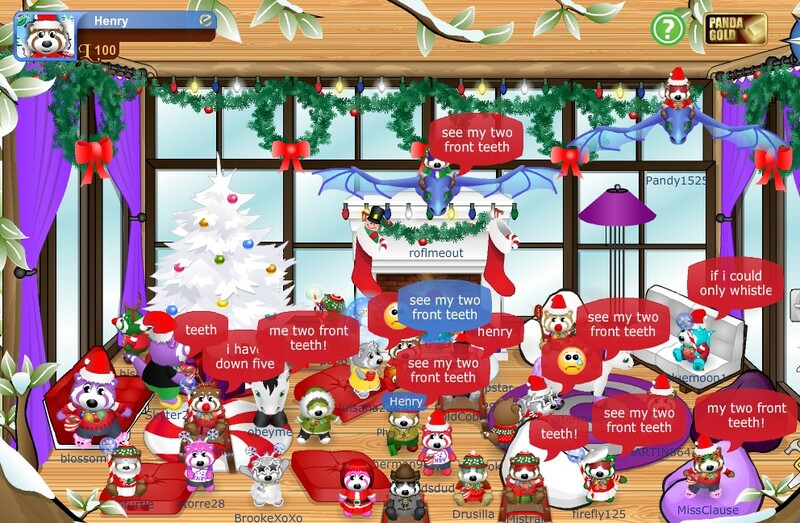 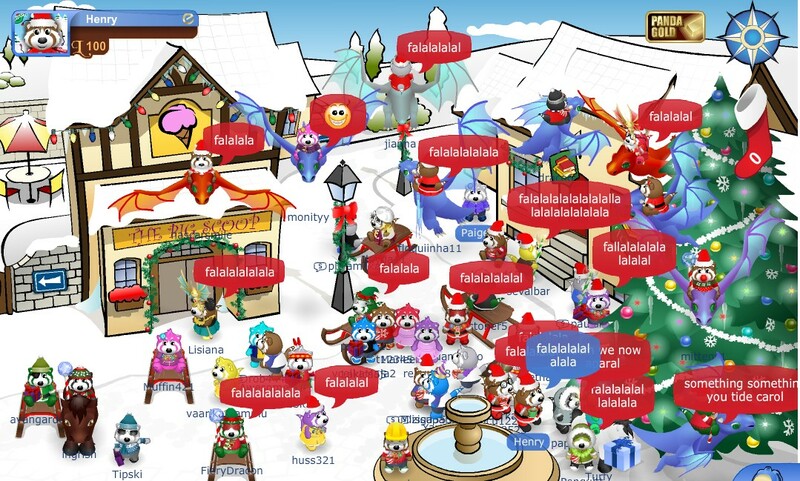 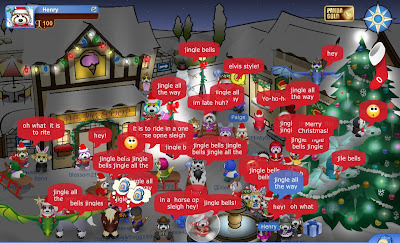 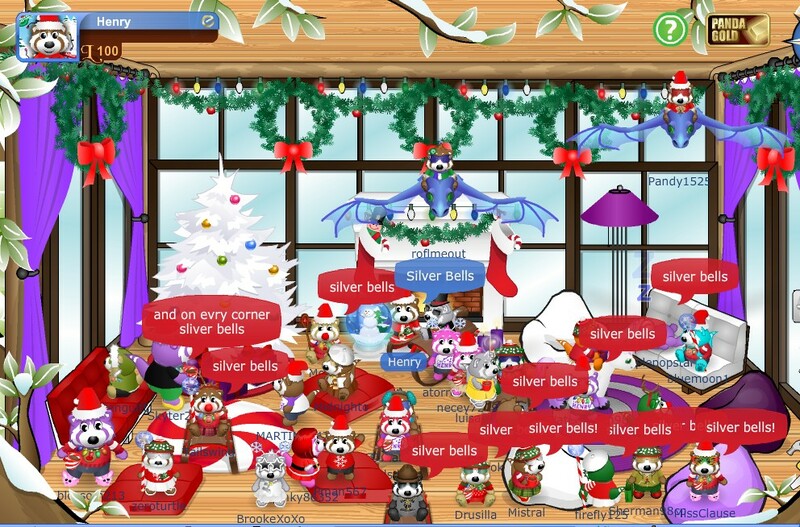 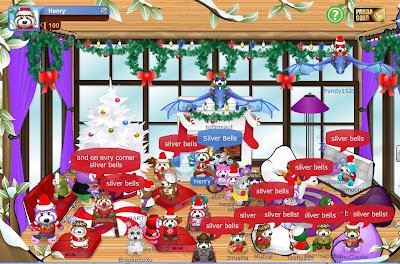 Pandanda - Henry's Blog: Christmas Caroling ROCKS! 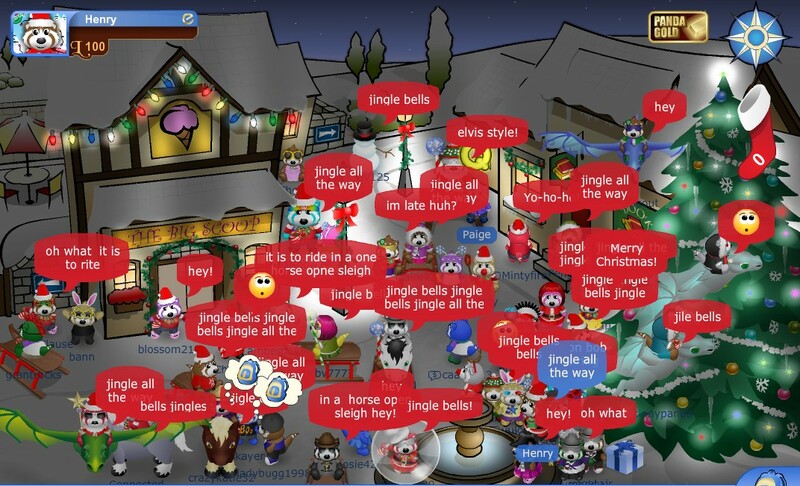 Oh boy, I had an awesome time singing Christmas songs with you around the Christmas Tree in Bear Hollow today! 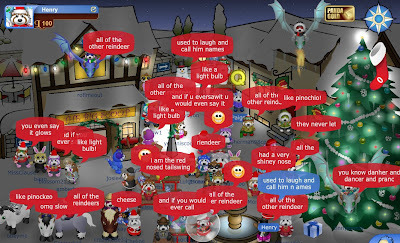 It really helped get me into the Christmas spirit! 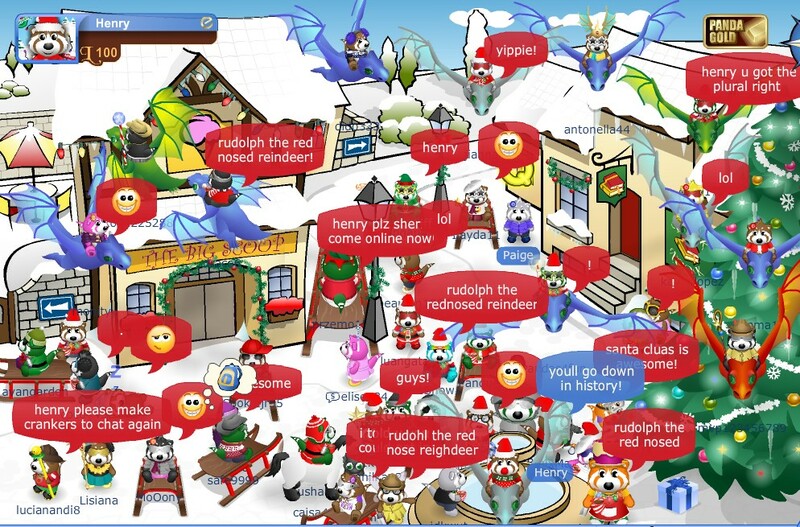 Everyone was having such a good time, and you all looked spectacular in your Christmas outfits! I took a whole bunch of pictures during my visits. 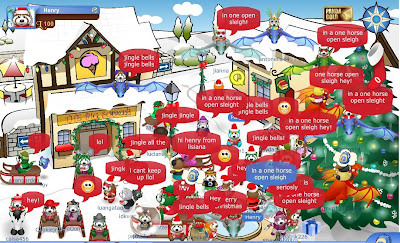 Here are some of the best ones. 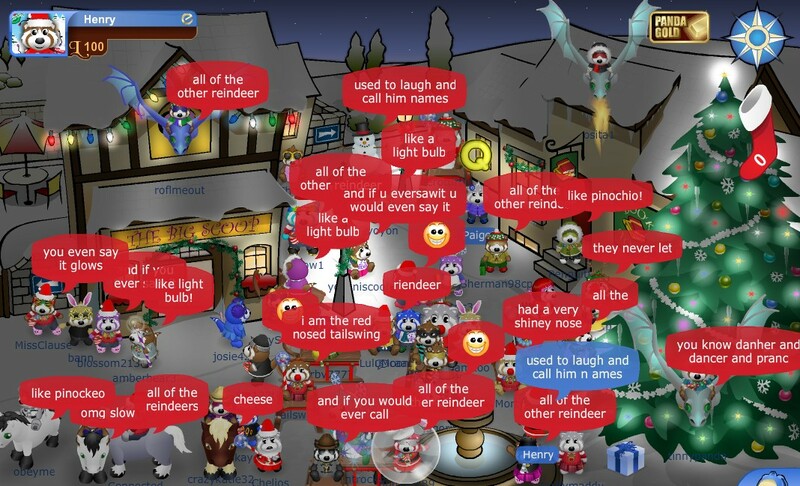 Can you figure out which songs we are singing? I will be announcing the winner of the Festive Photo with Your Friends Contest in less than 12 hours! 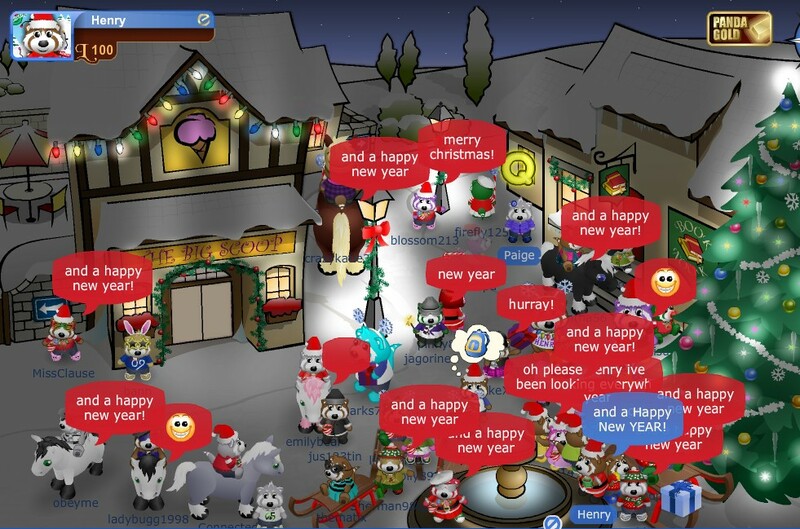 You only have to be patient for a little while longer!